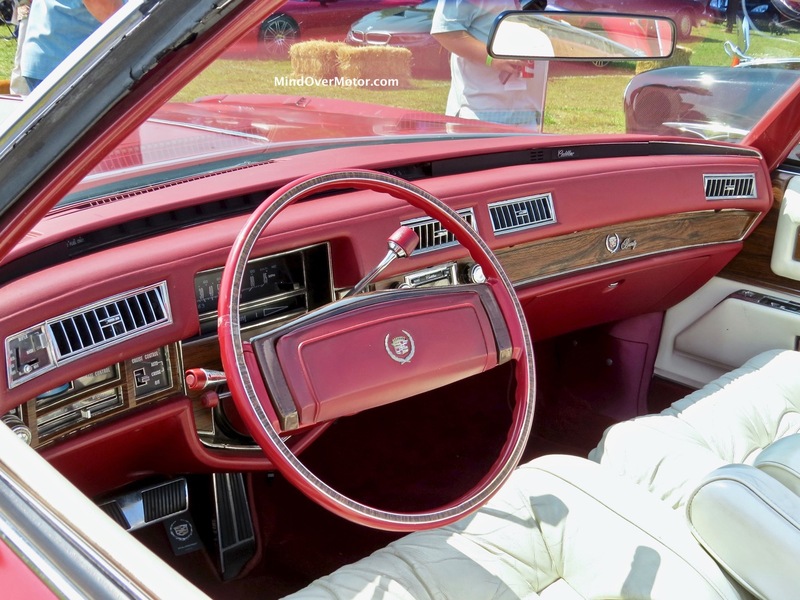 This may be the best-looking 1975 Eldorado Convertible I’ve seen. I love big old Cadillacs. 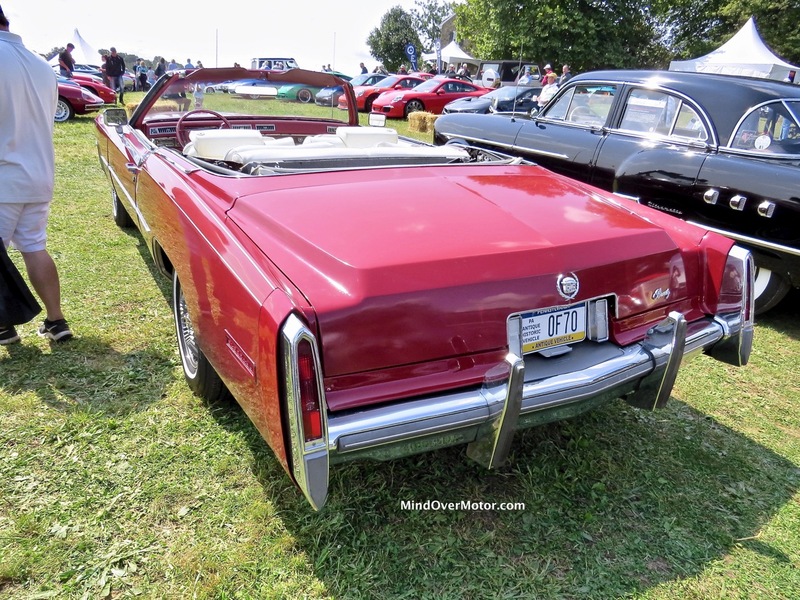 It’s hard for me to figure out why, but it must be because they are the ultimate expression of 1970s American extravagance, with excessive engine sizes, massive bumpers, questionable handling characteristics, and oodles, just oodles, of sheetmetal. 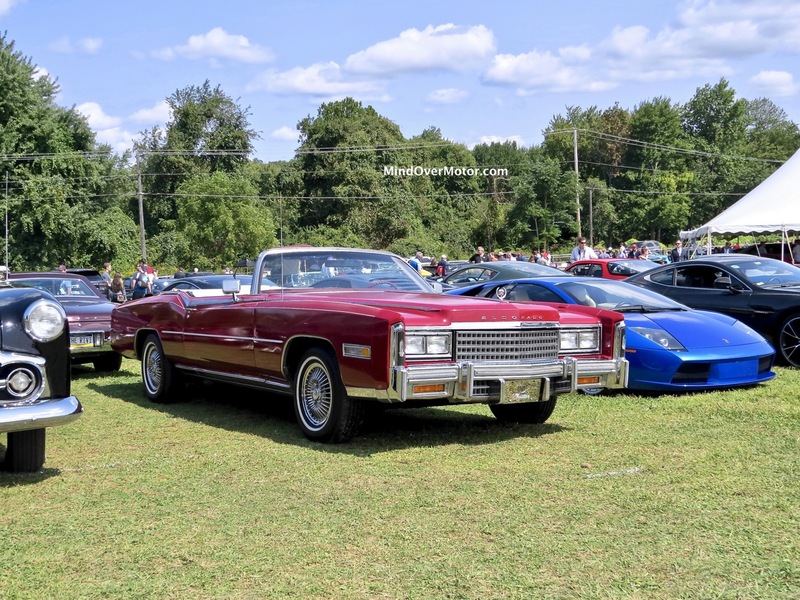 The Eldorado shown here is a gorgeous cardinal red color, which was quite a sight next to the Lamborghini and and Packard flanking it on either side. Of all the cars in the car corral at Radnor last fall, this one still stands out in my mind as a fantastic drivable classic. Enjoy the photos of this ultimate interpretation of Big Red.